the bodies of adolescent athletes pounded into the ground without remorse? the athletes kept in tight, solitary confinement for over 23 hours a day? the athletes condemned to a life as (literal) chattel? the athletes drugged and doped without consent? the athletes whipped – beaten – for motivation? the athletes routinely dying on the playing field? the athletes brutally and violently slaughtered upon retirement? Horseracing a sport? If not for the gravity involved, it would be absurd. No, horseracing is but exploitation of a weaker species for among the most shameful of reasons – $2 bets. To those who sustain this sordid business, we say: Slake those gambling urges with decidedly inanimate slots and scratch-offs; leave the horses out of it. To those who trade in equines in the pursuit of cash and fleeting glory, we say: Find a commodity that doesn’t bleed; take up a hobby that can’t cry out in pain. Please note: While our focus here is on a single industry and a single species, Horseracing Wrongs stands unequivocally against all animal exploitation. We hold that no animal should be bred, domesticated, and used for human purposes. The evil, as we see it, begins and ends with animal property; as long as we continue to own them, talk of “rights” is positively meaningless. Accordingly, we are not interested in reform or so-called welfare improvements, simply an end – to horseracing, to all of it. This is agenda-driven rhetoric from a likely card-carrying member of PETA. Why not focus your attention on the treatment of beef cattle, chickens, etc? Many, many racehorses are well-cared for – even in retirement. Focus groups and legislative acts have taken root in recent years to prevent, or at least make it far more difficult for horse slaughter to continue. Yeah, their agenda is to help animals that cannot speak for themselves. Animals that are regularly injured, killed, exploited and disposed of for profit. The focus is on racehorses because they care about horses. It has nothing to do with other farm animals. Check out horse auction listings and see how many thoroughbreds go to slaughter every single day. Horse slaughter is very legal in Mexico and Canada and that’s where American horses are shipped to be killed. They have minimum, if any regulations about the way horses are killed. 19% of horses that go to slaughter are thoroughbreds. According to the USDA, 70% of the annual thoroughbred foal crop died at slaughter in the U.S. Source: http://www.wildforlifefoundation.org/Case_Study_U.S._Thoroughbreds_Slaughtered_2002-2010-WFLF.pdf This is a very serious issue. We thought it would end slaughter of horses for meat to outlaw packing plants in the US – but it just enriched the Mexican and Canadian economies, at the expense of the horses, as they are trucked thousands of miles nonstop for days in crowded cattle trucks to Mexico for inhumane slaughter under conditions I can’t even imagine. I do not know how things are in Canada. At least here in the US the USDA oversaw the packing plants. I would rather euthanize them than send them to slaughter or watch them starve. How can man be so cruel ? I don’t agree with many of the other comments in this website, but I think this one is spot on. With the best of intentions of stopping horse slaughter, the outcome has become much, much worse. The transportation and treatment of horses (and other animals) going to slaughter is abhorrent. I am not a fan, but at least in the US it can be managed to be more humane. It is a tough era for horses, and it has been for quite a while as we continue to develop grazing land for commercial purposes leaving the cost of the care of horses ever increasing. I see this every single day in Lexington, KY. I am not a bettor, but I am a fan of racing and of horses in general. I believe we are best served by assuring that these animals – like all others – are treated fairly and humanely. One has to accept the fact that horses will break down – whether racing or running around in the pasture scuffling with each other…it is an inescapable part of horse ownership. A fellow horseman once said “put a horse in a styrofoam room, and it will find a way to get a cut”. That is so true. Every day I care and worry about the safety of my horses. Are there trainers and owners who need to be kicked out of horse racing? Absolutely! Then let’s work on this, and continue to work on safe surfaces and guidelines and continue to improve regulation of pharmaceuticals administered to horses. But by the standards of this website, if we eliminate racing, then we should eliminate eventing, then we should eliminate riding all together because it is cruel or training is cruel…leaving horsse only to serve as pasture ornaments – and quite expensive ones – and we will soon see a lot more horses going to slaughter. Brandon Quick : Your ignorant comment is like hearing “Blah. Blah. Blah.” You have no clue what these horses go through, physically or emotionally. You most likely have an interest in this industry to conflate chickens and beef cattle in with the “sport” of abusing horses. Obviously, all animals’ lives should be free of confinement, pain and abuse. You may include humans in this scenario. But it doesn’t mean nothing should be done for horses whose short lives are filled with cruelty. Even the very best racehorses’ lives have ended horrifically or are neglected, because they no longer bring in $$$. It’s because of greed, and you know it. The bottom line is that due to the existence of this industry, animals are bred and then subjected to horrific cruelty. Even if the majority are well treated that is no argument for the continued maltreatment of the others. The horse racing industry has shown it cannot be trusted to look after the animals, so it needs to end. If horse racing doesn’t exist, ultimately no one will really care. There are plenty of other things to bet on that don’t involve the torture of animals..
Hardly rhetoric Brandon Quick. Over 30,000 TBs go to slaughter in Mexico and Canada every year. Would you be surprised to know that Leonard Blach, owner of Mine That Bird, KEntucky Derby winner, was, and probably still is, involved in trying to open a horse slaughter plant, in Roswell NM in 2013? It is located about a five minute walk down a dead end road behind Blachs barns. Thank you, Patrick for telling the true stories of what really happens..
Is it possible to make the human race respect animals? Watch these 2 year olds before their career even begins. https://www.youtube.com/watch?v=bOOiixz2zFE I wonder if the people survived. There should be a law against this for sure! It’s something we all have to answer to ask ourselves, “Did we say anything to oppose mistreatment?”. Even a facebook post? I want to have a horse someday. It will be loved. Thumbs up to those who love or have a race horse that is cared for properly, and lives a happy full life. To hell with the rest of these thuggy people who have no heart. You are one of my greatest heroes for your advocacy of our fine four-footed friends who are victims of the racing industry. I frequently see my own horses racing each other for the fun of it so we know that racing is one of the horse’s natural instincts. The major point that we’re all missing is the REASON so many race horses break down, while the mustangs survive while running over rugged terrain. Science has proven that horse shoes are destructive to horses’ hooves! Within an hour of nailing shoes to the bottom of their living organs, horses lose up to 50% of the circulation in their feet! Combine that with the concussion of their weight hitting the metal (even on fluffy racetracks), along with the lack of elasticity and shock absorption and it’s no wonder that they suffer spiral fractures, ligament, tendon and muscular damage. Please help focus the attention to the devastating handicap we enforce upon these creatures = shoes. Thank you for educating me by posting this, Susanella. I didn’t know about horse shoe facts. I feel bad on betting on harness racing ive only betted once :/ Do you have statistics on harness racing? Danni, the Standardbred deaths are on my lists along with the others. I don’t, however, break them out. Hey patrick, since you seem to be the father of all knowledge and you seem to know everything there is about horses, and you want to abolish horseracing, what would you like to do with the 100,000 plus thoroughbreds and standard breds in the U.S? Do you want to just kill them all or turn them all loose? Do you want to tell Kentucky to stop breeding thoroughbreds? Good luck with that! Let me know how that works for you!! What would you like to do with the thousands and thousands of workers and jobs and farms in the U,S alone? This is a billion dollar a year industry…your opinion isn’t going to change that!! So to your point Mr Morton. The slave trade also employed a great number of people, not just the slaves. Just keeping the lines of trade open involved lots of people in port cities and stations along the way – Kinda rude that Lincoln put all of those people out of work, wasn’t it ? As for all the money horse racing makes, PLEASE! New York state tax payers were subsidizing OTB. Patrick Battuello, thank you for posting about abuse of these beautiful animals. I have posted your story to my Facebook page. Greyhound racing can be just as bad. As a dedicated Greyhound advocate, I take every opportunity to speak up for horses as well. Running doesn’t hurt these animals. The industry does. My hope is that every person who cares about Greyhounds will spare a thought, a word, and a donation to the cause of racing horses, and vice versa. Megan, we are categorically against dogracing too. How many horses do you care for or saved? Just asking, for a friend…. One of the most ridiculous questions asked – but asked so often (by apologists) of us who oppose the unnecessary and harsh horse racing industry. Having horses or caring for them isn’t required to acknowledge all of the harm that befalls horses used in this industry. I don’t have any rescued orcas nor circus animals in my care…yet I’m still very aware of their suffering in those entertainment industries, as well. I was a race tracker, trainer, exercise rider, groom, stable owner. The industry is hard on horses and hard on those who choose to work with horses. 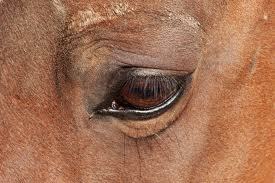 I saw terrible things, I saw death of horses and people, injuries, drugs, cruelty, abuse, screaming, yelling, swearing. I never bet on the horses, just did my job, got paid and moved on to better employment. I still own horses, I think of the terrible horsemanship I witnessed, and I try to always be a kind and caring owner. Does “claiming jail” or “jail time” protect the horses? Jenny – not all all. The majority of rules are passed NOT to protect the racehorse, but to protect the BILLIONS in wagering profit. In fact, the main motivation for “jail time” was to keep the horse in the racing jurisdiction after claimed so that races could be filled. They don’t want a bunch of racehorses leaving a racing jurisdiction in the middle of a meet. So it has nothing to do with protecting the horses as I mentioned. Another example are the whipping rules. Many people don’t know that a jockey is actually FINED for not hitting the horse enough. If a jockey feels a horse has nothing left to give, and doesn’t continue whipping/beating it in the stretch (s)he is actually fined!!! Now if this isn’t a reflection on what this industry is about then I don’t know what is. In fact, when they have tried to minimize the number of times a horse can be whipped in the stretch the pro-horse racing people fought this hard, and it wasn’t just the jockeys. It’s an entire system of abuse, legitimized animal cruelty, whereby the horses are exploited, maimed, dumped, and/or killed for the most part. Should and could replace the horses with motorcycles, Speedway or Flat-track. Betting has kept this archaic sport alive. Seems one area that can be dealt with is the attachment of the shoes to the 🐴 hoofs. Why not use adhesive less invasive on the horse. Then work on track conditions. Horse racing is in the history of man . You should seek solutions not just the problems. The insurance companies share a part of the problem here. Very kind.I hope you spoke up regarding what you saw,experienced and felt what these innocent creatures were subjected to illegally. PS Hug your horse for me! There is only ONE solution Robert, and that’s to shut this entire cruelty circus down. No compromises, horse racing WILL go it’s just a matter of time. To PHILIP–I can assure YOU-FAR more horses breakdown at the track than running aroind, playing, chasing in a pasture! I just moved here from Long Island.I am sickened that millions is spent on the performance of these horses,who are endlessly taken BEYOND what they can take physically and mentally NO matter what the she. This Carnage must stop.There must be laws for the Owners to be responsible for uncalled for euthanization Money…..
Where are all these farms?Advocates for taking these young horses like Traveling Soldier.I know we both cried.He and I . Please alert me what the hell is going on and on…. Today at Arlington park 9/7/2017 in race #6 Just zip it died 5 feet after the finish line. I took a couple of pictures as he looked to have a heart attack. The jockey Nicholas Meza was carted off on a stretcher. Would you consider sharing those pictures, Darrell? If so, you can reach me at the email address – hrwrongs@gmail. Thank you. Horse racing should be banned across America before more horse deaths prove it is not a sport. It is a greedy business and the emphasis is far from the concern for the lives of the horses. I believe in a good dose of reality for the most ardent horse racing fan.Go back into the archives,find N.Y.S. Comptroller Alan Hevasi’s report on NYRA.It’s quite educational and I would doubt not too many things have changed since then.It’s an eye opener and the casual as well as the veteran horseplayer will think they just read a Pulitzer award novel,but it ain’t no novel.It does a great job of revealing what this game is really like,he did such a good job somehow he ended up in jail for this inciteful look at the sport of kings. DEDICATED Circa 2004-2005. Thank you, Julio – the animals are fortunate to have you on their side. I don’t know all the numbers but this I do know;-Brandon- you are wrong side up- your arse is where your mouth should be! Being a horse lover but never believing in horse racing, I look for the day when horse racing is outlawed. It’s not just horses that are mishandled, it’s many animals. When are humans going to stop their inhumanity? I own racehorses and raced for years trying to do it the correct way. It does not exist. I saw deaths almost every morning. I saw everything from sponging horses to overdoses and blood doping. I held a racehorse on the track during a million dollar race with a broken leg and the owners never showed up. The horses are given a painkiller before they are inspected to race. Horses are given Lasix which depletes minerals to grow strong bones. The jockeys cheat. The gate crew cheat and most of all…the trainers cheat. I retired all my horses to my farm at great expense but worth it. Most horses are sent to slaughter in Mexico…the breeding stallions are relegated to a miserable life. The breeding mares are machines until they cannot produce then discarded. I am not trying to draw attention away from the subject matter of this post. I simply would like to share some thoughts I had while reading it. The author proceeded to list a few things which definitely occur in horseracing; however, I would like to raise awareness to a few similarities I thought of while reading this post. For the sake of the comparison, I will remove some of the adjectives/adverbs to avoid that chance that these comparisons are taken too literally. Again, I do not wish to distract from the ideas being presented, nor do I wish to diminish the statement being made. -While their bodies may not be pounded into the ground without remorse and they are debatably adolescents, American Football is notorious for rigorous training and practices of young teenagers, and possibly slightly younger. In this sport, along with many others, the idea of training until you collapse is common and very much encouraged by overenthusiastic parents and coaches, especially at the elite levels of teen sports. The culture around “hell weeks” and practices made to single out the weak are things we accept simply due to the claim that “it’s part of the game” or “it builds character”. Once again, the “without remorse” aspect is debatable; however, I think there are definite similarities with the way many popular American sports associate conditioning or punishments during practices. -Here there really is no connection, for almost all of the dopping done by athletes is done out of consent. Nonetheless, drugs and doping are very common not only in professional American Football but college and possibly lower ages too. This also does not extend solely to American Football, but also to many other popular sports in the United States. -There have been numerous reports of coaches hitting, verbally abusing, and demeaning players for “motivation”. For example, former Rutgers Men’s basketball coach Mike Rice. I’m sure there are hundreds, if not thousands, of other cases either reported or not reported of this occurring within sporting environments in the United States. -Lastly, this may be a stretch, but I would consider the number of deaths caused by Chronic Traumatic Encephalopathy (CTE) of retired National Football League (NFL) and National Hockey League (NHL) players to be somewhat of a comparison. There have been numerous reports of players committing suicide as a result of suffering from CTE. On top of that, I’m sure there are many more which have not been reported nor will they ever be reported. In most cases, CTE led to the suicide of these retired athletes. Not only that, but there are significant amounts of evidence which show CTE develops not only in professional athletes but also younger athletes. To summarize, I think there are definitely some aspects of the list following the prior quote which are similar between horse racing and many other sports on our planet. Like I mentioned before, all these comparisons may be a stretch but I think they are too prevalent to overlook. Once again, I do not wish to distract from the overall message of this post. I just wish to express some thoughts I had while reading this. Please comment and let me know what you think. Whether you agree, disagree, don’t think I should’ve posted this, want to know some sources for some of the factual claims, wish to add or contest something, or if you’d like to share an opinion or anything at all please feel free. People have choices – racehorses don’t. People are autonomous the racehorses aren’t. Racehorses are forced into servitude for profit, human athletes are not forced into servitude. People and children have laws that protect them from cruelty and abuse or physical injury. It’s for this very reason that horse racing is not a sport. In a nutshell, racehorses are profit slaves for their slave masters, they don’t share in the wealth they generate as human athletes do – most end up dying on the slaughterhouse floor when they are done maiming them. Have you even seen a professional human athlete, after generating millions in profit, die on a slaugherhouse floor or did I miss that point? Very good point. I completely agree. The lack of autonomy for the horses is essential when attempting to compare it to another sport. No comparison can be made between an organized sport which has unions for both players and owners in order to help protect both parties and horse racing which doesn’t have any means of regulation regarding treatment of their “athletes” (horses). I just find it interesting to ponder and try to draw comparisons to major sports. Not because I hope to justify the terrible ethics surrounding horse racing, but in an attempt to possibly discover similarities regarding social, economic, ethical, and psychological circumstances throughout the development of athletes in the major sports. For example, an individual who grows up in a low-income family in a low-income area. Is it reasonable to make the comparison that they somewhat lack autonomy as well? Not in the exact same way as horses, for they are not forced into servitude for profit by an owner, but could this individual feel, in an unseen way, forced to endure terrible conditions and treatment while striving to reach professional status? In our society, we see this is hard work, determination, and grit, but do those personal characteristics justify the difficult and, at times, abusive tole an individual may have to go through to reach their goal? This is also considering the fact that a very small percentage of individuals will ever reach the professional level they strive to reach. Another example which may hit on your second to last point, “In a nutshell, racehorses are profit slaves for their slave masters, they don’t share in the wealth they generate as human athletes do – most end up dying on the slaughterhouse floor when they are done maiming them”, could be college sports. Again this doesn’t address the obvious fact of the inhumane treatment and slaughtering of horses, but it does compare to the point about sharing in the wealth between the athletes or horses, and their owners. In college sports, thousands of athletes push their bodies to the limit and subject themselves to physical, emotional, and psychological abuse at the hands of their coaches and fans, which is again seen as “just another part of the sport”. However, in college athletics, the players receive absolutely no monetary compensation for their efforts. Yes, they do receive scholarships and amazing educations at accredited universities which thousands of other individuals can only dream of having, but does that equate to the millions, if not billions, the NCAA and universities are profiting from ticket and jersey sales, advertisements, and sponsorships? Also, while they are not “slaughtered” like the horses after their careers, but considering the point made above that only a very small percentage of athletes ever reach the professional level, almost all of these college athletes are simply dropped and forgotten once their college careers are done and they can no longer make these giant corporations and universities money from their labor. The amount of college football or basketball players who put their bodies on the line and endure everything in order to reach the pros heavily outnumbers the amount who are successful and able to reap the rewards. Is it too much of a stretch comparing these? Obviously, they are not the same, but I think there are some striking similarities. Maybe this is completely off topic. Maybe not. Nevertheless, I think it’s intriguing to think about. Once again, none of this addresses your great point regarding the distinction between the autonomy of human athletes and horses forced to race in horse racing, but it is simply food for thought. There’s a difference between autonomy and choice. For a person that grows up in a low-income family their choices can be limited in scope due to lack of funds. However, they still have autonomy, that is, independence/freedom to make choices over one’s self. The can choose to continue, even in the light of economic deprivation, knowing that they have to work much harder, but it’s their talent that will overcome that if indeed they have talent. As for all your references to our youth being somewhat pressured to perform in sports? Well again, they still have the autonomy, the freedom, to walk away if they wish no matter what. They are not locked into a 10 x 10 sq ft area with needles plunging in and out of them to make them perform. Their owners, in this case parents, doesn’t take all the money they earn and dump them. If that were the case, than their parents would be charged with child abuse. Furthermore, when you compare the injury statistics of professional athletes vs equine athletes the figures are astounding and disturbing. I can assure you that if 2000 athletes died per year on a football field it would be shut down for good. Have you ever seen a racehorse take a pen and sign a contract? This clearly demonstrates the autonomous aspect of human vs animal. You said it better than I ever could have, Gina. I received the OBS 2 year olds in training catalog a few weeks ago, and this is a prime example how some of these racehorses breaking down are not the equivalent of a human high schooler – but of a toddler. For those not familiar with the “under tack” shows at these baby horse auctions – these horses, at ONLY 2 years old – with a rider on their back- are whipped incessantly to run a brief distance – but AS FAST as they can! The thought is that the faster they run- the better price they sell for – as it will show their future potential for talent, and their precocity. Even pro racing people are turning against this practice more and more, as it leaves a trail of maimed babies and horses that never really recover from this high intensity training. Many find it to be silliness – because none of these babies will ever need to run these short distances, at these speeds. Many babies are pulled out of these auctions after the under tack show because they have injured themselves, never to be seen again. And even with these babies – they snap legs during these shows, but they are going so fast that it is impossible to pull them up, many falling and cartwheeling down the track, in an effort to minimize the damage and in hopes the baby can be saved. And after all is said and done, after they go through these torturous sales, the majority end up being a flop on the racetrack- and they were put through this for nothing. There are videos online of the severity of these sale wrecks. They are sickening. I attended 2 year-old-in-training sales when I was an active participant in this business. I’ve been reviewing the ages of the recent racehorses that have died recently and many, especially the high level stake horses, were either sold at the 2 year-old-in-training sales or started racing as 2 years old. You can thank The Kentucky Derby and The Breeders Cup for promoting and facilitating a horse racing environment where racehorses are forced to perform at 2 in order to qualify for these races as 3 year olds. Both The Kentucky Derby and The Breeders Cup have completely ignored or will even consider raising their races to 3 – again, the total lack of concern comes out time and again. If one wants to see the truth in horse racing, all you really have to do is look at the horsemens guides from the tracks, and the stall applications that go with them. This is the basis of what the rules to racing are, then you can go to the arcl website and see the legal permissible medications, along with a list of ruling infractions. Further you can look into horses necropsy reports, and compare that to the horses pp ( racing record) it tells a stort with some basic knowledge of the industry, being this information comes from the same folks that operste the game and they can request vet records, how come they dont punish the people that do this to horses, because they look at it as ” part of the game”.